I am a native of West Central Wisconsin. After raising my children, I went back to college and graduated in 2012 with my Associate’s Degree in Addictions Counseling. 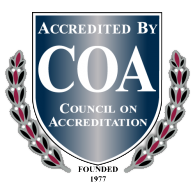 I currently am credentialed as a Licensed Addictions Counselor in Wisconsin. My background consists of Case Management, AODA Counseling (individual, group implementation, and family counseling), budgeting, community outreach and education, and customer service. While I am new to the position of Financial Wellness Advocate, I am excited to be on this journey. My hope is to offer insight and strategies to help those looking to improve and stabilize their financial outlook. As each person comes from different circumstances and perspectives, I look forward to learning from each interaction.